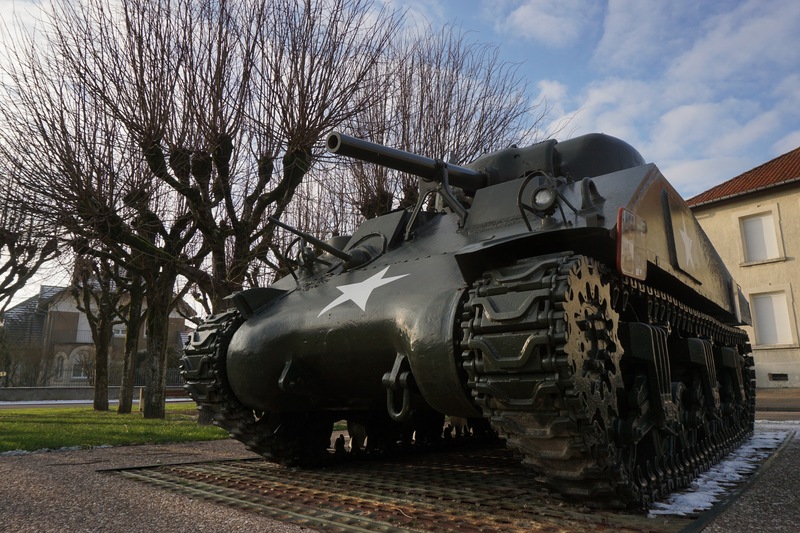 The battlefields of the First and Second World War criss-cross in many places and while out visiting the Verdun area today we came across this M4 Sherman in the main square at Montfaucon d’Argonne, a village that was on the line of the American advance in 1918 and also in 1944 a generation later in the Second World War. 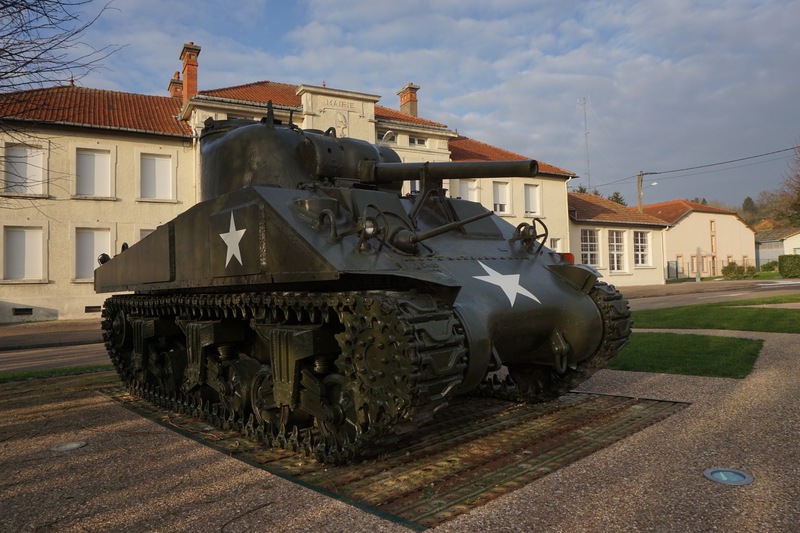 This M4 Sherman appears to be an M4A4 model used by US troops in the last phase of WW2 and also by Free French and post-war French Army. 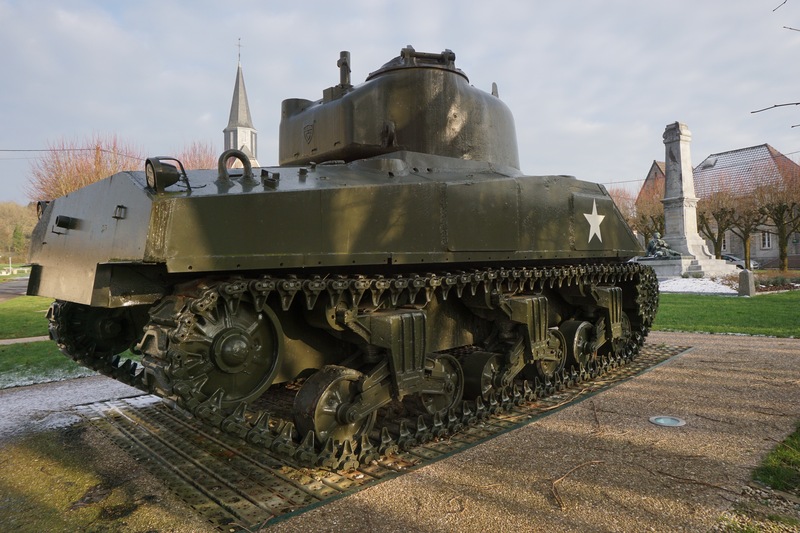 The tank comes from the French Tank Museum at Saumur and was put here to commemorate the liberation of the region in 1944. There are several other WW1 memorials in the same square including a German 77mm field gun.